Our Saturday adventures often provide a wardrobe challenge for me. For example, what should I wear if we are going to an antique European Car Show held on a golf course with daytime temperatures of more than eighty degrees, full sun, and high humidity followed by dinner in an elegant restaurant? 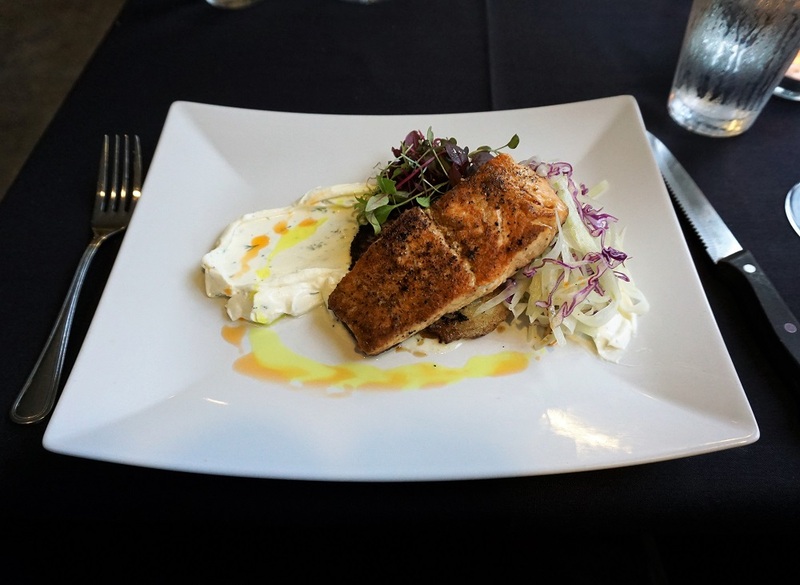 We stopped along the way to tour the new Burntshirt Chimney Rock Tasting Room and Bistro. 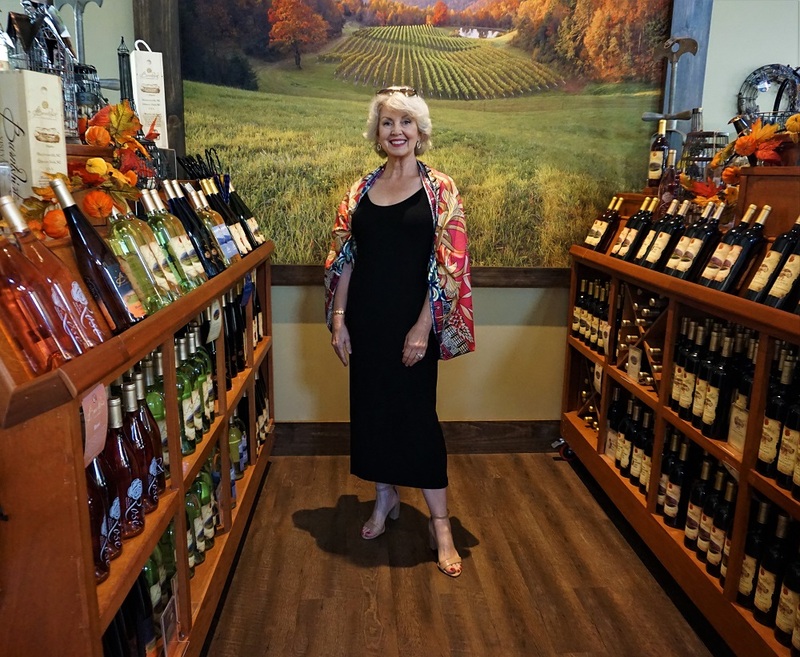 Last year, we enjoyed a visit to their Winery located near their two estate vineyards in Henderson County. 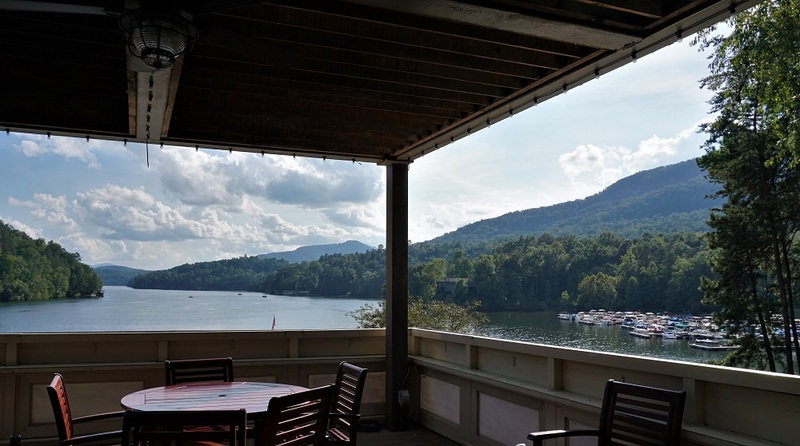 Rumbling Bald Resort is located along the north shore of beautiful Lake Lure. 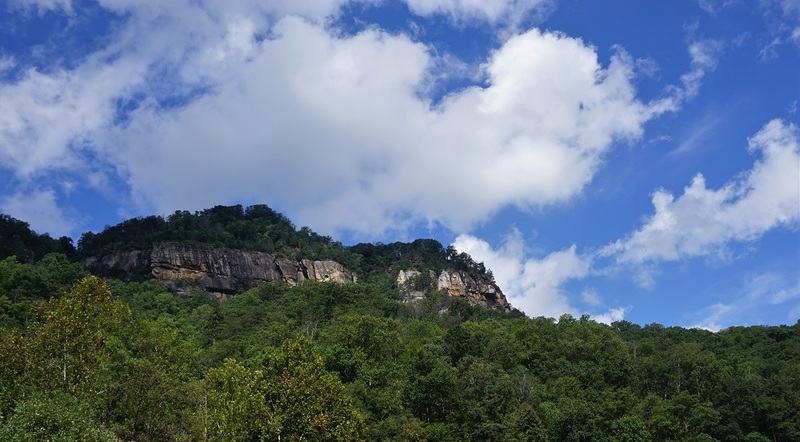 Surrounded by the towering cliffs of Rumbling Bald Mountain, this more than three thousand acre property is home to a private white sand beach, children’s water park, distinct dining experiences and numerous hiking and biking trails, swimming pools, tennis courts, golf courses and a Spa. Our first visit to the resort was this past weekend, but it certainly won’t be our last. The Gardens is a delightful restaurant located across from the registration office. 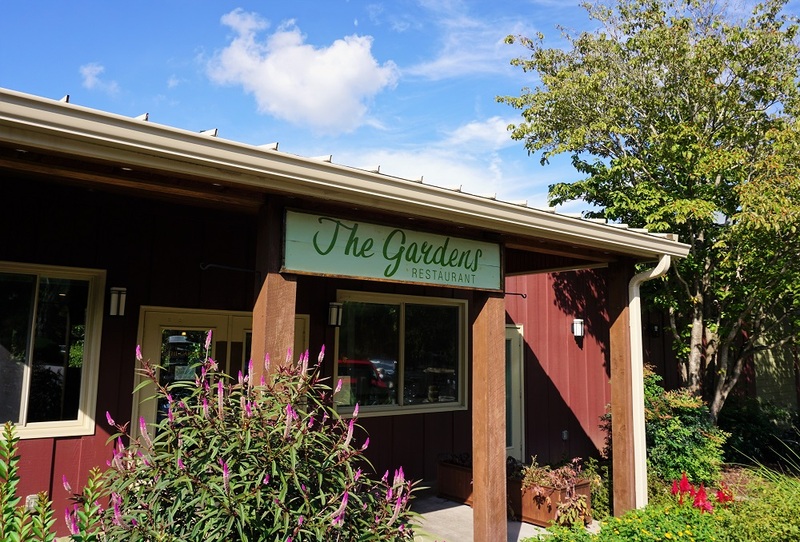 We are planning to return to dine at The Garden when they reopen next spring. We were there for their final evening of the season. 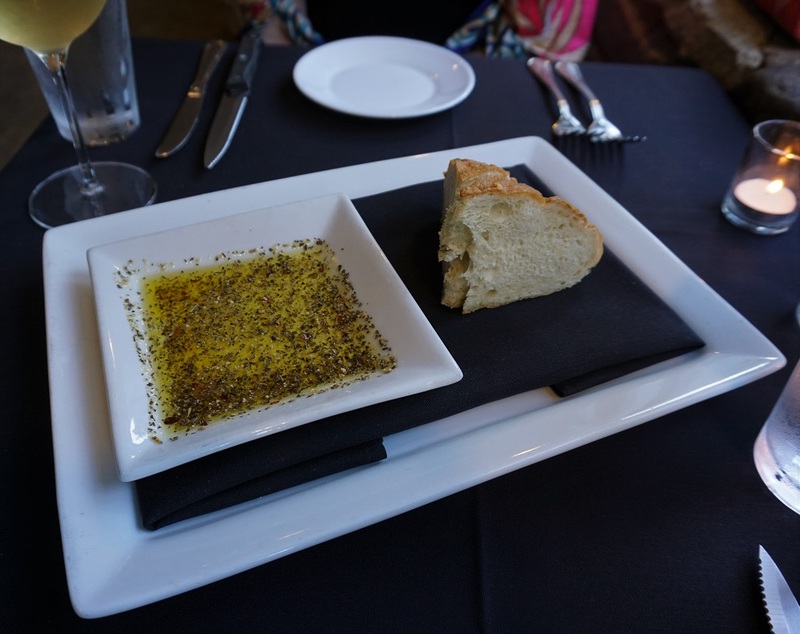 We shared fresh bread with olive oil and spices for dipping. 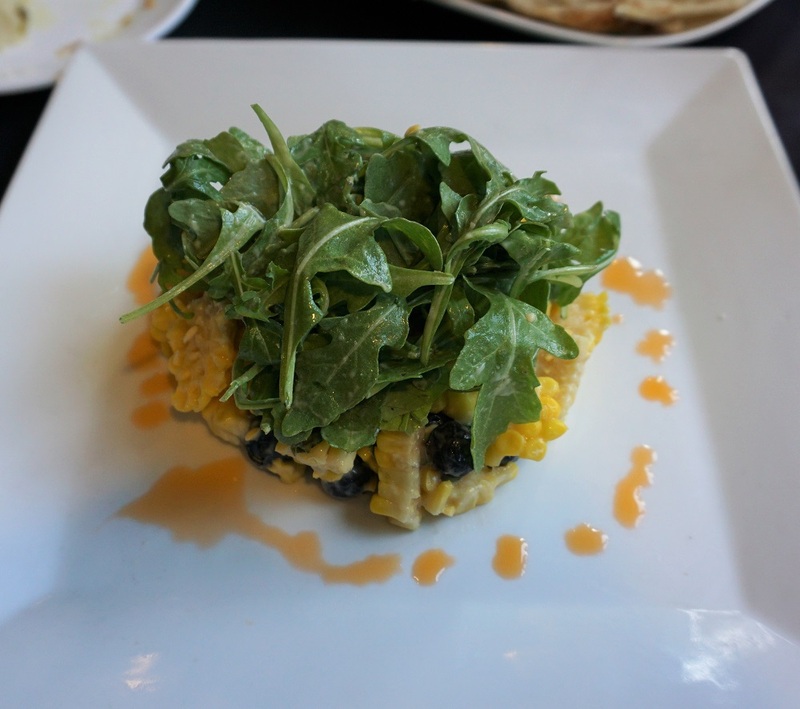 Mr. Mickey ordered a salad with corn and blueberries. 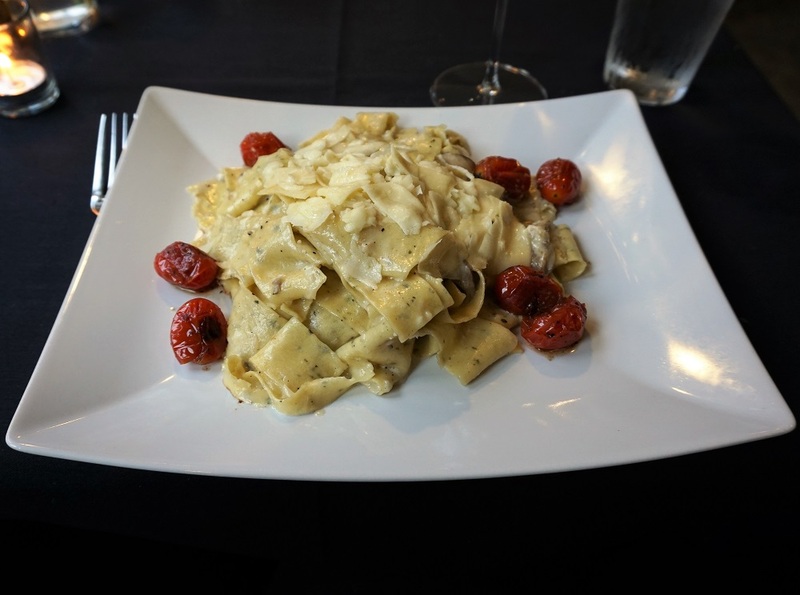 I couldn’t resist the pasta, made in their kitchen earlier in the day. 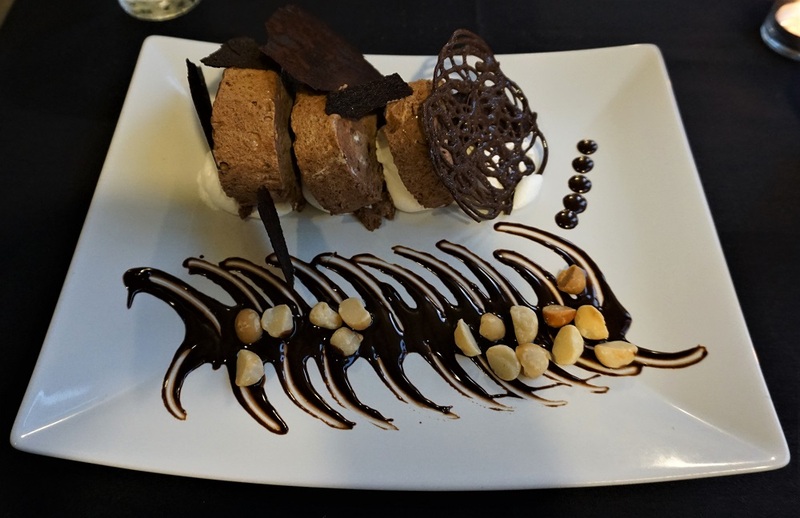 We also shared this fabulous dish. I often get questions about how I stay in shape while eating out so often. In truth, we eat out only once or twice per week. When Mr. Mickey and I are together, we always share dishes. I never eat all the food served to me in restaurants. 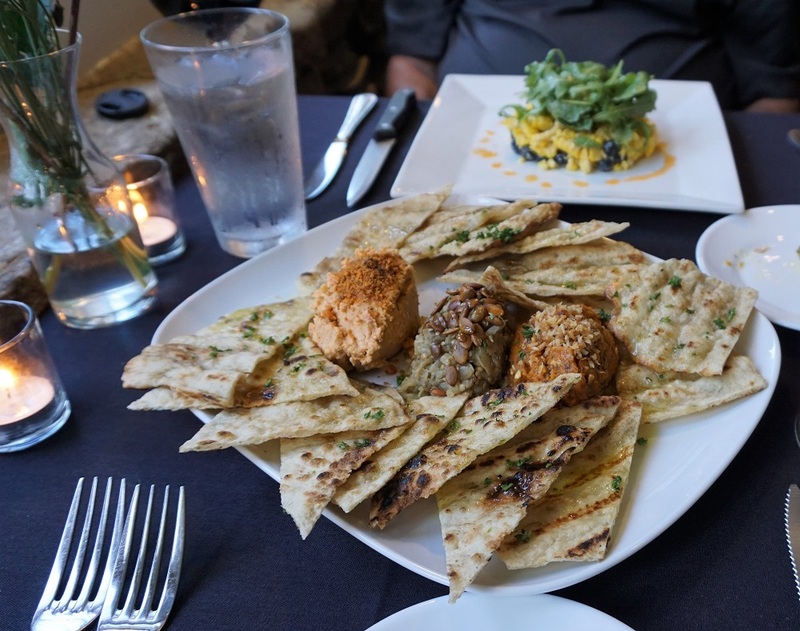 While I may occasionally enjoy a few bites of dessert or pasta with rich, creamy sauces and chunks of crusty bread, these are not my usual food choices. My daily foods include a first meal of fruit and oatmeal (recipe here). About six hours later in the day, I will have a late lunch which usually includes colorful organic vegetables, leafy greens, beans prepared without salt, and some cooked grains (farro, for example). If I feel hungry at other times, I will enjoy a few raw almonds, a crisp apple or some other fruit or vegetable. Carrots sliced into chips is a favorite snack. I drink about ten glasses of filtered water every day and walk at least three miles every day. “Less food, more water, and lots of movement” has been my mantra for the past eight years. It has served me well. I haven’t even had a cold during those years. Both the afternoon temperatures and the humidity were going to be high, so I wore the least hot garment I own. It is a straight simple crepe tank dress from my shopping site. 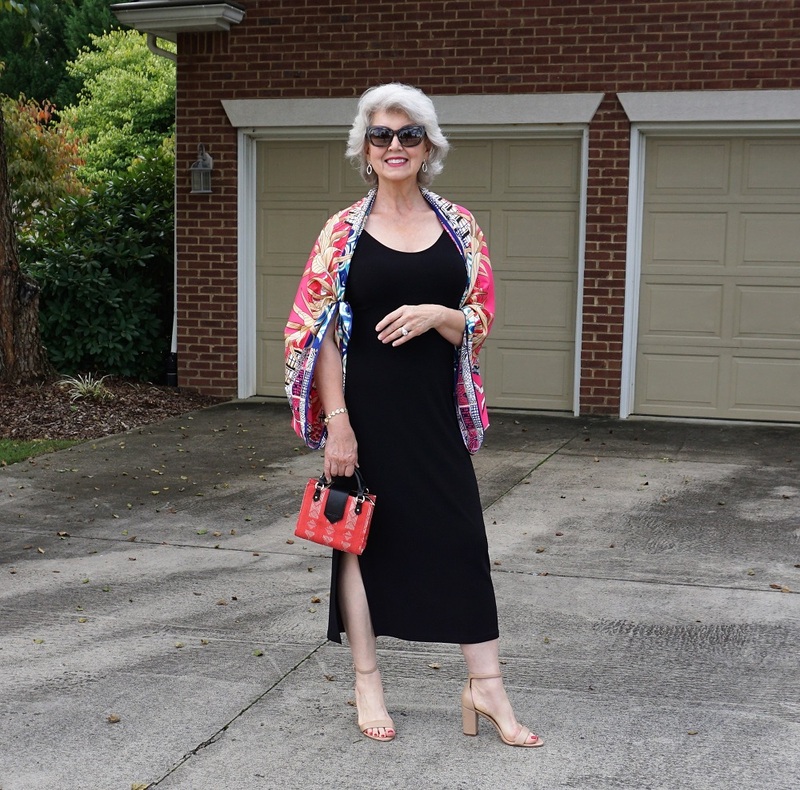 It was much too hot to wear a jacket or even a shrug, so I wore a fifty-one-inch square silk scarf as a kimono. Here’s how to achieve this look. Lay the scarf face down on a flat surface. Tie the top left corner to the bottom left corner. Repeat on the right side. 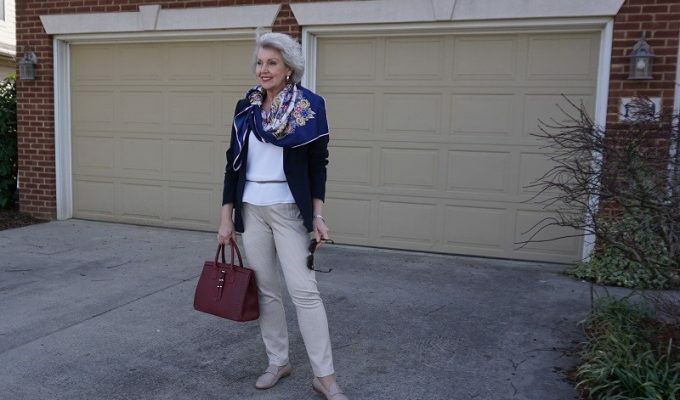 Slip your arms through the resulting “sleeves” and adjust the scarf on your shoulders. The cute Sade Mini bag is from F&W Style here. The sandals are here. The look was appropriate for all the events of our day and evening. 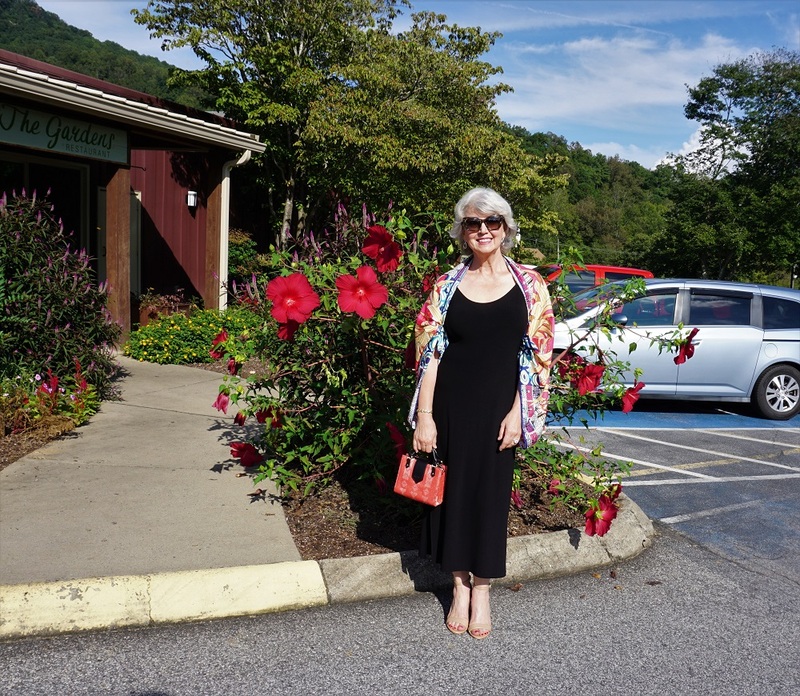 The tank dresses are available in the long and short straight version that I am wearing, as well as an A-Line style which looks great on women with a pear shape or an hourglass shape. The dresses are here. The scarves are here. Without external investment, I created this site to honor and serve women of all ages. The shopping site here provides classic basics and accessories which you can wear in a variety of ways. My ongoing studies include style advice from image and nutrition experts so that the tips I share with you are never just me sharing my opinion. I use art and science to inspire your outfit selections and to help you stretch your wardrobe possibilities while looking your best. 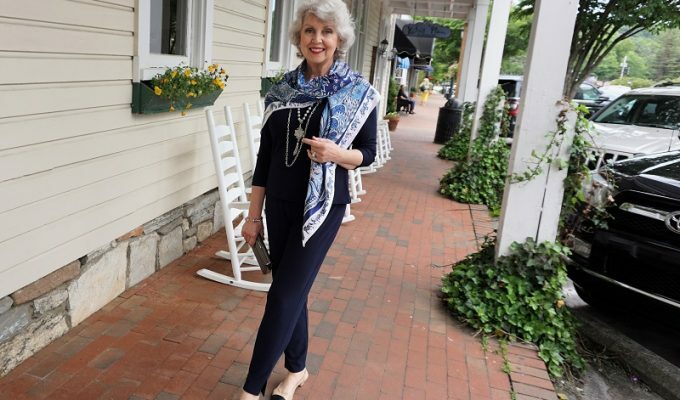 SusanAfter60.com is an online space where women can share their thoughts, ask questions, gather style tips, gain local travel inspiration, and learn more about nutrition. Lovely look, but do you not have trouble with perspiration and body oils ruining your scarves? It draped only across my shoulders otherwise it didn’t touch my body. 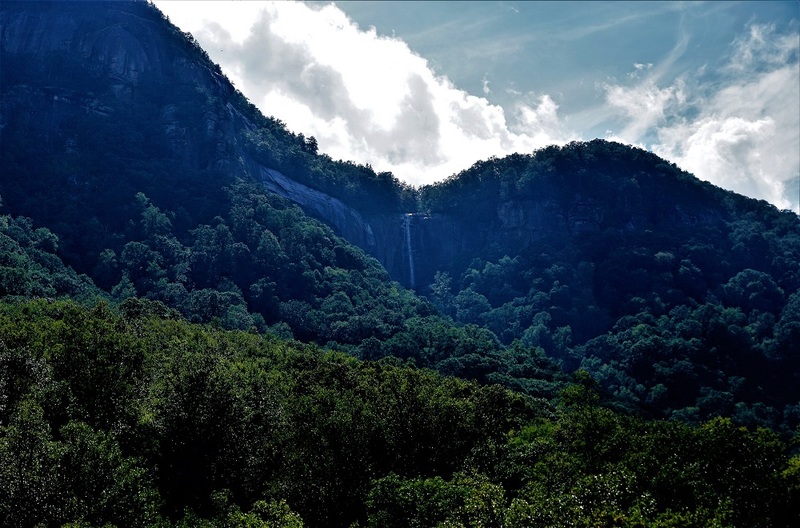 I am constantly amazed by the gorgeous scenery, beautiful towns and amazing dining opportunities in North Carolina showcased on your blog. My former, recently retired boss was there a couple of weeks ago for a horse show and she posted some lovely photos on FB. It’s a must see on my next trip to the US and I can’t wait. Thanks for sharing Susan, you are a fantastic ambassador for your state. What do you do about excerise when it’s too cold to walk? Do you own a treadmill or go to a gym? Also what kind of water filter do you use? I want to thank you so much for sharing your life and advice with your readers. Thank you, Gigi. I use a Big Berkey water filter. My office is downstairs, and my studio and inventory are upstairs, so I climb the stairs in my home two at a time about twenty times a day. I park far away from any store I am visiting and otherwise incorporate as much movement into every day as possible. I don’t sit still for very long. Susan, would you mind providing the link to the packing video where you showed how to fold about a week’s worth of clothes in a smallish bag? For whatever reason, I cannot locate it this morning and I am getting ready to travel! This may be the video you are thinking of. Safe travels! It is! Thanks for the link. Best packing video I ever found. 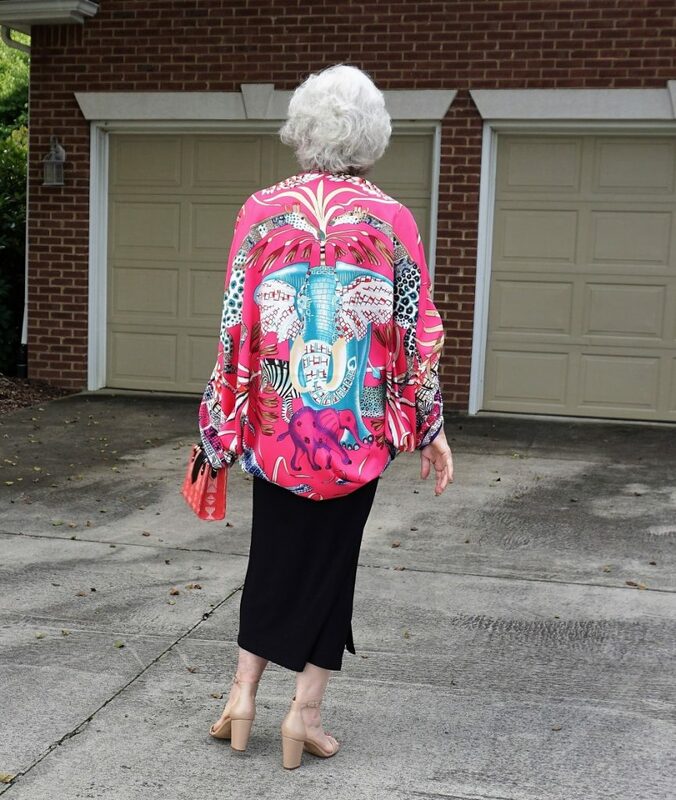 Really enjoyed the pictures of your food choices and I loved the last outfit with the scarf kimono. You really do a fabulous job of bringing us along. Thanks. Wow, such a neat idea for a scarf kimono. Beautiful pics of both scenery and food. Thank you for all your tips and sharing your life with us, Susan. Love that scarf tie. I must try this! As usual, a wonderful setting, beautiful pictures, elegant styling Tips! I don’t see the scarve with the same colours on your site as you are wearing ? The same scarf is here. I tried your Power Porridge recipe today and I have to say it is delicious. Just a small serving, topped with two sliced strawberries ,was enough to fill me up. Thank you so much for sharing it– I’m looking forward to having it for breakfast this coming week. Love, Love, Love the “Scarf Jacket” look!! I will try this for sure……Thank you for the tip. You look elegant as usual and it sure looked like you had a great time together. As usual, your outfit is perfect. I just emailed a friend, she and I have both had a stressful day, and told her Dirty Dancing would be on tv tonight. After seeing your movie reference and the wonderful photos, I’m going to sit back with a beautiful scarf over my shoulders, sip white grape juice from my favorite wine glass, and watch Dirty Dancing. Maybe painting my toenails a glorious shade of red in honor of my always lovely friend Susan! I adore you, Lou! Thank you for the lovely comment. Thank you for the lesson re the scarf. My daughter gave me a perfect scarf to wear in this way and i have hardly used it to date. Will definitely wear it when she visits this weekend. Susan do you drink tea? Also when you eat at these nice restaurants do you or is it appropriate to take some of the leftover food home? Thank you. I do drink hot tea sometimes. It is always appropriate to ask for a to-go box, and if we are not several hours away from home, we do. What a great idea to knot the scarf corners to create a shrug!